First Listen: Sharon Van Etten, 'Epic' The world isn't exactly suffering from a shortage of earnest singer-songwriters. There are enough gently strummed folk songs and ballads about broken hearts to last anyone a lifetime. But in a crowded field, Sharon Van Etten stands out as one of the most beguiling artists around. Even in a crowded field, Sharon Van Etten stands out as one of the most beguiling songer-songwriters around. The world isn't exactly suffering from a shortage of earnest singer-songwriters: There are enough gently strummed folk songs and ballads about broken hearts to last anyone a lifetime. And, to be honest, I don't have a lot of patience or room in my CD library for many of them. But if a fascist regime takes over the world and makes it illegal to listen to any more singer-songwriters -- a distinct possibility -- I only ask that they please leave me Sharon Van Etten. In a crowded field, she stands out as one of the most beguiling artists I've ever heard. Van Etten first appeared on our radar a year ago, when TV on the Radio's Kyp Malone played some of her music during his guest DJ spot on All Songs Considered. He said Van Etten had passed him a CD of her songs at one of his live shows. And while he normally doesn't have time to listen to fan submissions, Malone popped in the disc when he got home and fell in love. "She's been silencing rooms in drunken bars for a long time," Malone says. "Really very arresting. She just sends me." 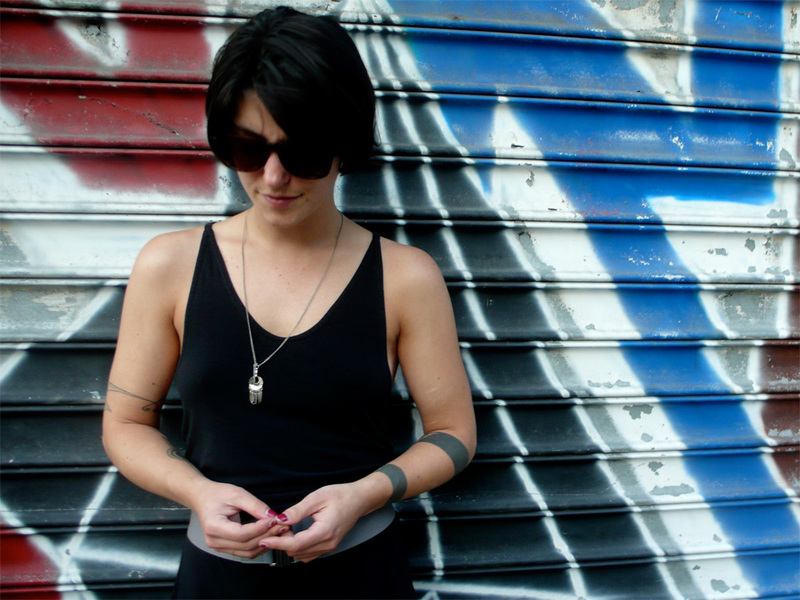 While a lot of singer-songwriters dole out painfully obvious details about their own heartache, Van Etten writes and sings about the world she inhabits with a beautiful and uncertain curiosity. Her songs are heartfelt without being overly earnest; her poetry is plainspoken but not overt, and her elegant voice is wrapped in enough rasp and sorrow to keep from sounding too pure or confident. Van Etten's latest CD, Epic -- featuring Meg Baird, Cat Martino and Jessica Larrabee on backing vocals -- has a slightly misleading title. The music possesses a fuller sound compared to the super-spare arrangements on her first two self-produced albums, but Epic still feels incredibly intimate, with lots of room to breathe and unfold. It's an enchanting mix, with some wonderfully moody ambient moments (check out the mesmerizing transition from "DsharpG" to "Don't Do It"). There's anger and regret ("A Crime," "Peace Signs"), fear and resignation ("DsharpG," "One Day"), wisdom ("Save Yourself") and ultimately hope ("Love More"). It all soars but remains wonderfully rough around the edges. I don't want to overstate how much I love this record, but I do plan on being buried with it. Epic will stream here in its entirety until Sept. 28. Please leave your thoughts on the album in the comments section below.